Powerful Music Production Tools! Alchemy is a complex synth that presents itself in a simple way. its primary and flagship function is sample based re-synthesis. 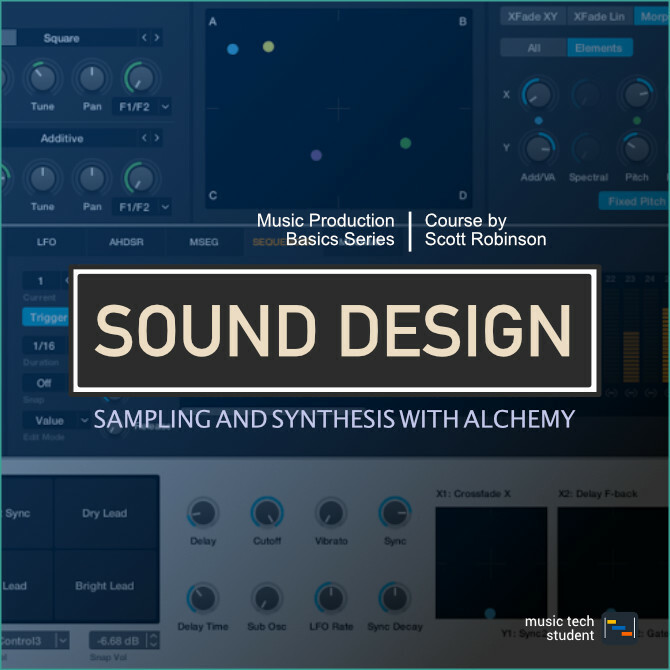 This means Alchemy can take a sound and re-create it using analysis and additive synthesis. It also supports common subtractive synthesis types as well as sampling and spectrum bases synthesis. In this course, you will be introduced to Alchemy and how to use this extremely powerful tool. The aim is to walk you through the basic functionality that will get you up and running with this sound creation instrument. Throughout this course there are activities to complete so that you can consolidate your knowledge and start creating straight away. This course will guide you through the basic and advanced elements of the instrument and demonstrate how to use each component. By the end, you will be able to compose and manipulate sounds to create interesting and unique sound designs.